Despite taking another step towards promotion with their 2-0 win over Derby County last Friday night, the result was overshadowed by manager Marcelo Bielsa, who admitted before the game that he'd ordered a member of his staff to observe their opponents' training session the previous day. In the time since, there's been plenty said about the incident - including some calls for the Championship leaders to be docked points. On Wednesday, Bielsa took the surprise step of calling a press conference, sparking some rumours that he would quit the club. As it went, he didn't resign - instead using it as an opportunity to get the 'spygate' topic out of the way in time for his regular weekly press conference on Thursday. Now, with all that out of the way, the club - or at least the people with the keys to their Twitter account - have become embroiled in a brief Twitter spat (we *think* this amounts to a 'spat') with Pizza Hut's UK Twitter page. Very important news, we're sure you'll agree. 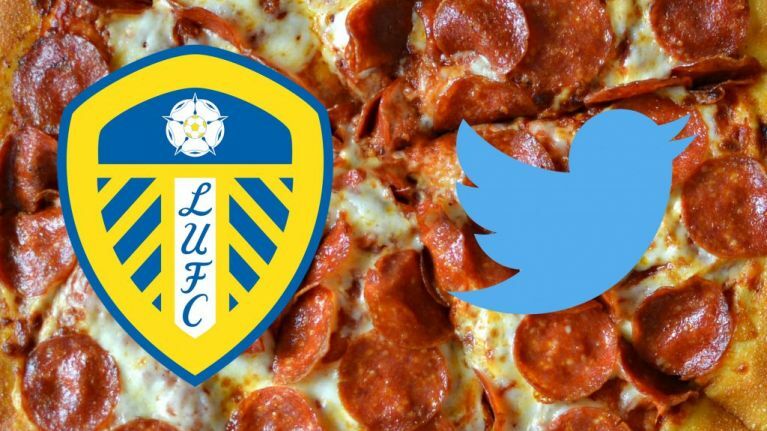 Pizza Hut started it, jokingly suggesting in a tweet to Leeds that Bielsa had sent someone along to spy on their chefs, possibly ahead of serving pizza in the club's canteen. Hi @LUFC, we’ve just seen a suspicious looking man peering through our chef’s window. Can you let us know if you’re planning to put Pizza on the menu in the club canteen? As anyone who follows Leeds' Twitter knows, they were never going to let this one slide. Sure enough, they replied, saying they preferred rival pizza chain Dominos and suggesting Pizza Hut deliveries usually take a while. However, with the Championship club's response clocking up the retweets, Pizza Hut fired back, pointing out that in terms of waiting on a delivery, Leeds - whose last trophy was the old First Division in 1992 - should know a thing or two. A football club and a restaurant chain trading Twitter blows. Don't dare call it a slow news day, whatever you do.